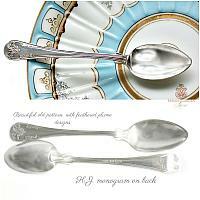 Elegant set of eight Sterling Silver Demi Teaspoons, the size used in France and all over Europe for coffee or tea. 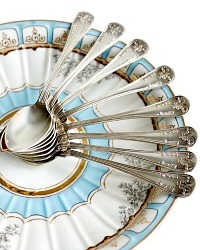 Made by Guldsmeds Aktiebolaget, a Stockholm silver company creating the most luxurious silver. Lovely and ornate, with decorative design elements resembling feathered plumes, these are delicate and feminine. 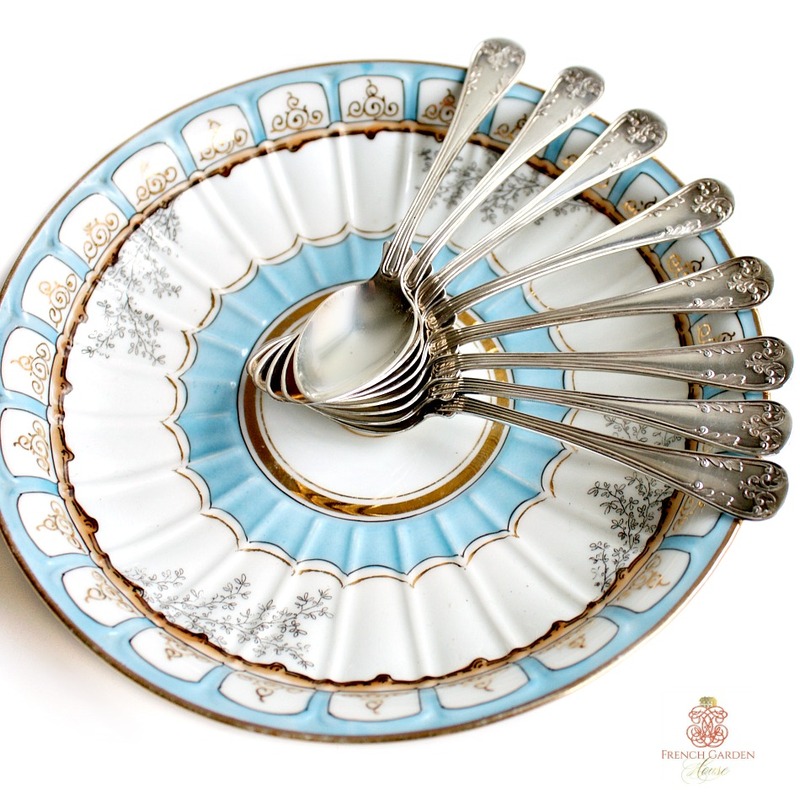 A perfect addition to your sterling spoon collection, to present to your host or hostess this season as a luxury gift, and to use daily for your cup of espresso or earl grey tea. 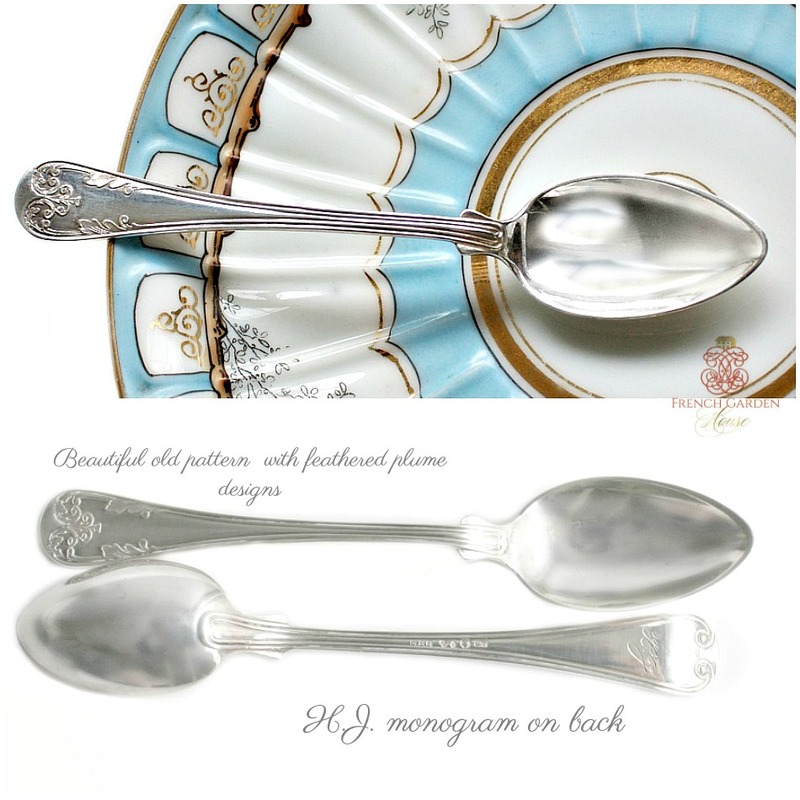 Each spoon has a lovely hand etched monogram "H J" in script, on the back. Sold in a set of eight.